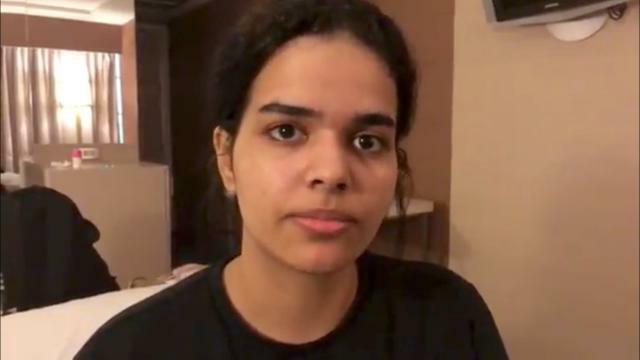 The saga of Rahaf Mohammed al-Qunun grabbed international attention this week after she barricaded herself in a Bangkok airport hotel room to resist being sent home to her family, which denies any abuse. A Korean Air flight carrying Qunun left Bangkok for Seoul on Friday night at 11:37 p.m. Bangkok time, an airport official told Reuters. Qunun will board a connecting flight to Toronto from Seoul’s Incheon airport. Canadian authorities said they could not confirm that Qunun had been granted asylum in Canada. Qunun arrived in Bangkok on Saturday and was initially denied entry, but she soon started posting messages on Twitter from the transit area of Bangkok’s Suvarnabhumi airport saying she had “escaped Kuwait” and her life would be in danger if forced to return to Saudi Arabia. Within hours, a campaign sprang up dubbed #SaveRahaf, spread on Twitter by a loose network of activists. Following a tense 48-hour stand-off at Bangkok airport, some of it barricaded in a transit lounge hotel room, she was allowed to enter the country and has been processed as a refugee by the United Nations Refugee Agency (UNHCR). Australia said on Wednesday that it was considering taking in Qunun.